As you know from pedo-focused (Tooth) Picks past, we love gabbing about the importance of helping children establish proper oral care habits as early as possible. One of the best ways to encourage kids to engage in such habits is by making the tasks FUN! It’s just like the Mary Poppins song: “In every job that must be done, there is an element of fun. You find the fun, and snap! The job’s a game!” Another effective way to build positive associations with oral health is by engaging with young patients to make visits more interactive – explain what you’re doing and why, and encourage them to ask questions. 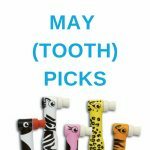 With these healthy habit-triggering strategies in mind, we’ve assembled 7 of the most FUN children’s oral hygiene products, along with tips on how to explain these products to inquisitive young minds. This new line of Crayola branded toothpaste from GUM was designed to help make brushing an interesting activity versus a chore. It isn’t just the packaging that’s brightly colored – it’s the toothpaste itself! There’s bright blue “blueberry burst” paste, rich red “melon blast” paste, and gooey green “jazzy apple” paste, all three of which are intended to be mixed and matched. What child wouldn’t like to transform their bathroom into a mad science lab, adding a dollop of each color to their brush, and swirling the tart mixture around in their mouth? The reason I’m giving you this toothpaste to try, is you don’t like mint…sometimes mint can feel too spicy. 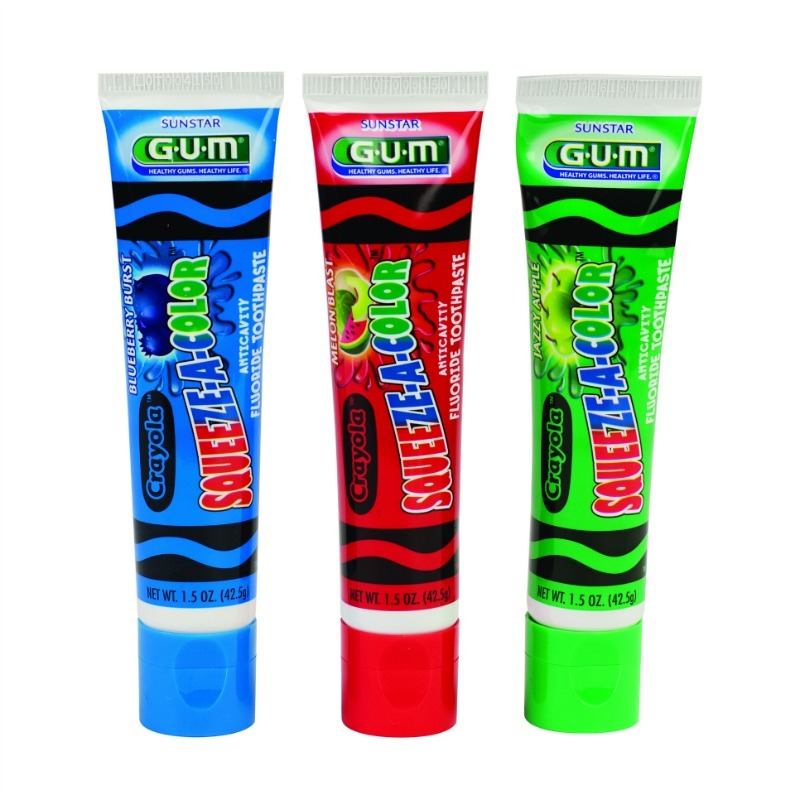 These toothpaste tubes all come in fun colors and tasty flavors that will make you want to brush your teeth! You can use all the colors separately, or mix them all together. Either way, this toothpaste will help you get rid of the cavity creeps! These Crayola brushes are fun because they’re designed to coordinate with the Crayola toothpaste. 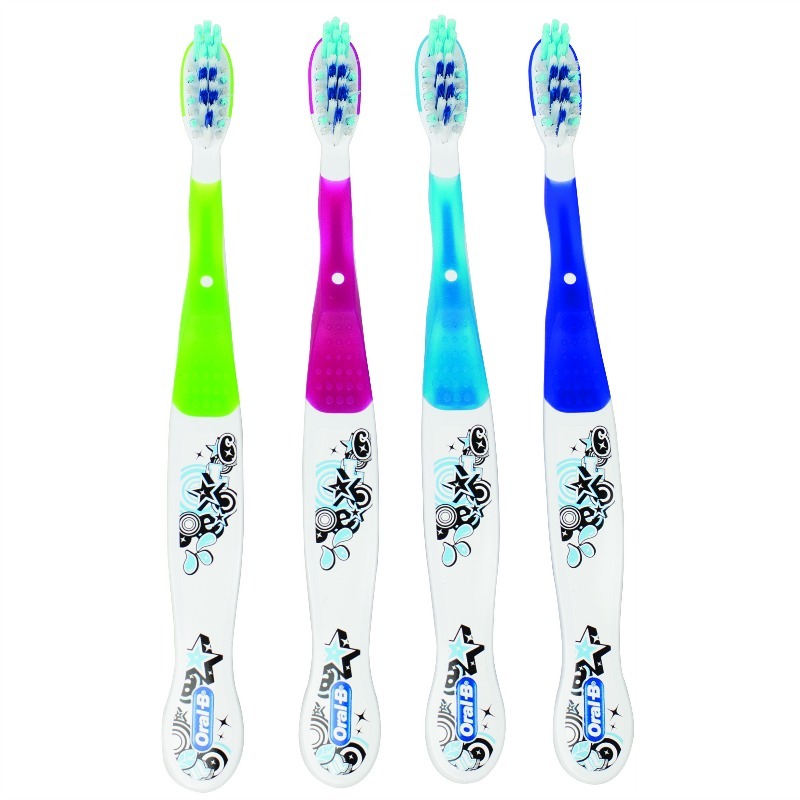 Kids can “color match” by picking out a toothbrush that matches their new tube of toothpaste. These brushes also have suction cup bottoms which makes them fun to stick onto the counter top, keeping them away from bacteria and germs. Each of the four colors in this product line are bright and eye-catching and have the familiar Crayola logo kids already associate with fun activities. These brushes have super soft bristles, so they’ll feel nice and comfy on your gums…like your gums are getting a massage! If you see the bristles start to flare out, that means it’s time to get a new brush. Can you guess when that might happen? It’s usually after about three months! What month will it be then? These new brushes from the popular Oral-B stages line have a curvy and appealing design, and whimsical patterns accented with bright colors. 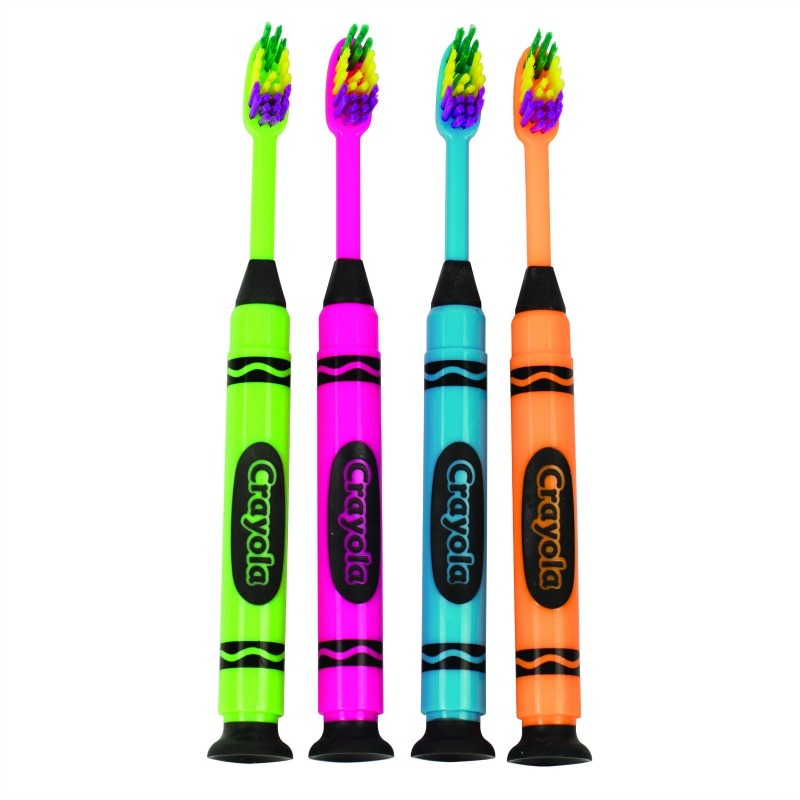 They have silicon grippers which keep the brush from slipping out of kids’ hands, helping them brush with confidence. The back of the brush head is textured and intended to be used as a fun tongue cleaner! Its cross-action bristles make this brush an awesome tool for accessing hard to reach places. These brushes are made specially to clean the gunk between your teeth spaces! When you’re done brushing, use the bumpy part on the back of the brush to scrape off your tongue. That will get rid of naughty germs that cause bad breath. This in-office product helps kids see dentists and hygienists in a more fun light, as an artist painting their teeth. Patients will also feel more like a “big kid” when they have this sealant applied, since it is only applied to kids who have all of their permanent teeth – they can even schedule a separate “big kid” appointment just to have this sealant applied. Plus, “pit and fissure” is a pretty fun phrase to say – try it! Kids will love the chance to show off their newfound vocabulary words and knowledge about the occlusal (chewing) surface. I’m going to be like an artist, and paint this sealant on all of the parts of your teeth that touch food when you chew! I know you like to eat sandwiches and pizza, but those carbohydrates can cause bacteria in your mouth. This sealant will protect your teeth from the bacteria, so you can keep eating all your favorite foods! Zooby’s entire line of products is focused on children, and since all of the coordinating products in this line are so much fun, they increase patient compliance. The results of one study performed by the American Student Dental Association showed that 100% of pediatric patients under 8 years old cooperated with student dentists while using Zooby products, 100% laughed out loud, and 100% said that they’d like to use Zooby products again! This particular product is available in 6 flavors with engaging, animal-themed names: Chocolate Chow, Growlin’ Grrrape, Gator Gum, Safari Spearmint, Turtle Melon, and Happy Hippo Cake! Coordinating products in this line include animal costume bibs, flavored gloves, foaming fluoride, animal shaped prophy paste cup holders, and zoo animal prophy angles. We’re using this yummy paste to help shine up your teeth, and get rid of stains. It might tickle a little when we use the spinny brush to put on the paste! 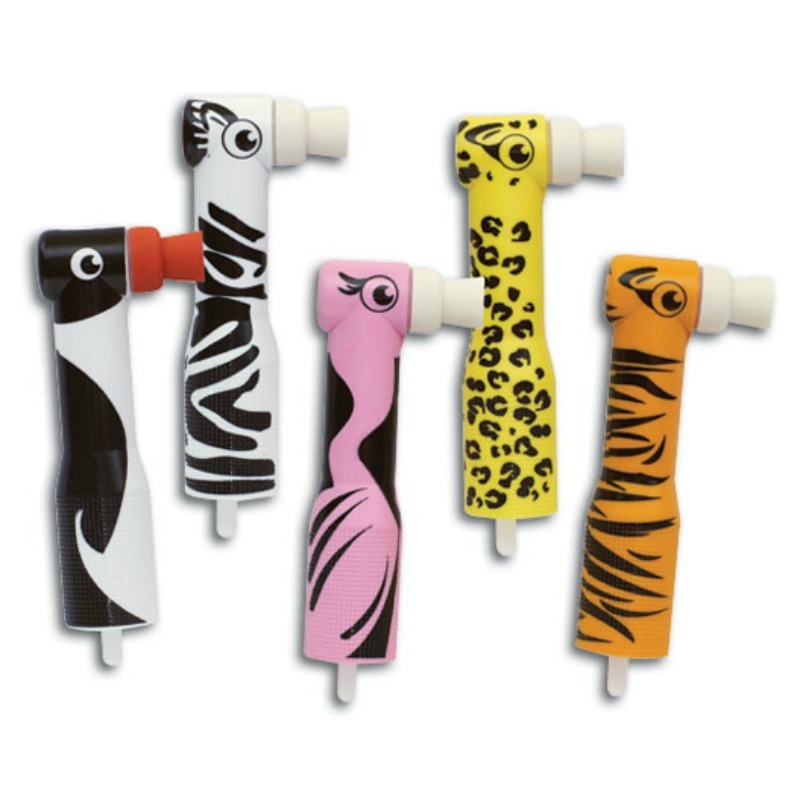 These disposable prophy angles, which can be inserted into any slow speed handpiece, each resemble a zoo animal. Each animal has an adorable name like Penelope the Penguin, Francesca the Flamingo, or Chase the Cheetah, and are made to coordinate with the other items in the Zooby line. Letting a pediatric patient pick out which animal is their favorite would be one of those great ways to engage a child and make them feel part of the process. The angles are also latex-free, which is a good ingredient to avoid in case of a potential allergy. This little animal is going to eat up some yummy paste that you picked out, and then he’s going to go in your mouth and help get your teeth nice and shiny! It might tickle a little. If we run out of paste while we’re cleaning, he’ll just gobble up some more! The caramel flavoring is a new offering from Voco, and it smells and tastes amazing. It’s just like Lip Smacker’s vanilla frosting lip gloss, a product kids have already formed positive associations with. 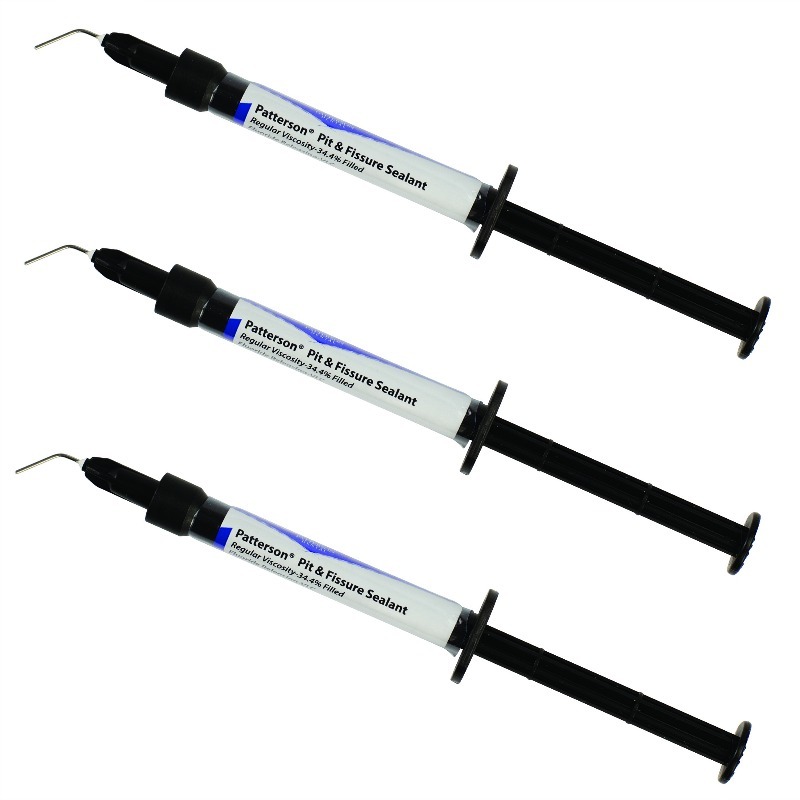 This form of varnish is a replacement for the traditional foam or gel fluoride treatments which often made patients gag. The varnish is simply painted onto teeth (it adheres well to moist surfaces), and the patient can leave immediately – no more need to sit with bulky trays in their mouths and wait for a minute. This delivery method is also more fun for dental hygienists – and when they’re enjoying themselves more, everyone enjoys themselves more! The clean-up process is simple since these individual doses are disposable, versus cleaning up the traditional trays which often tipped and poured out. I get to be an artist and paint your teeth! The difference is, my paint tastes like a caramel cupcake! This paint will protect you from cavities until the next time I get to see you! 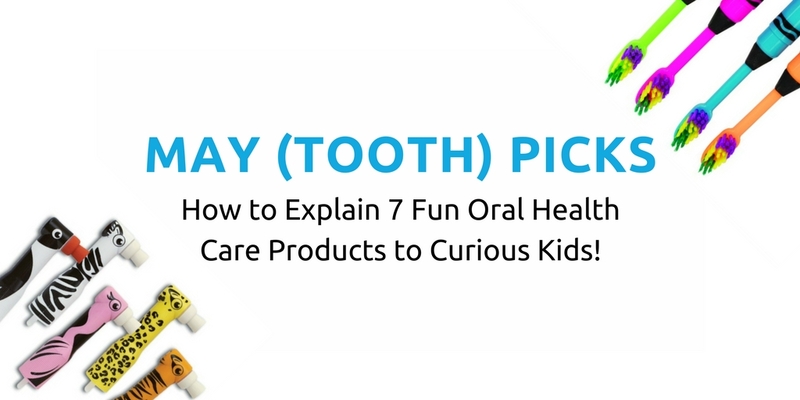 These 7 children’s oral care products are enjoyable for patients, and as you can see, they can also be quite fun to explain. With neon toothpaste, cake flavored prophy paste, and angles shaped like zebras at our disposal, inspiring kids to take an active and excited role in caring for their teeth and mouths just got a whole lot more…FUN! Which product do you most wish was available when you went to the dentist as a kid?